A 48-strong Hong Kong delegation comprising businessmen and professionals led by the Secretary for Commerce and Economic Development, Mr Edward Yau, arrived in Phnom Penh today (March 19) for the first leg of their visit to Cambodia and Vietnam, meeting the local business community and officials to explore new opportunities in Cambodia. 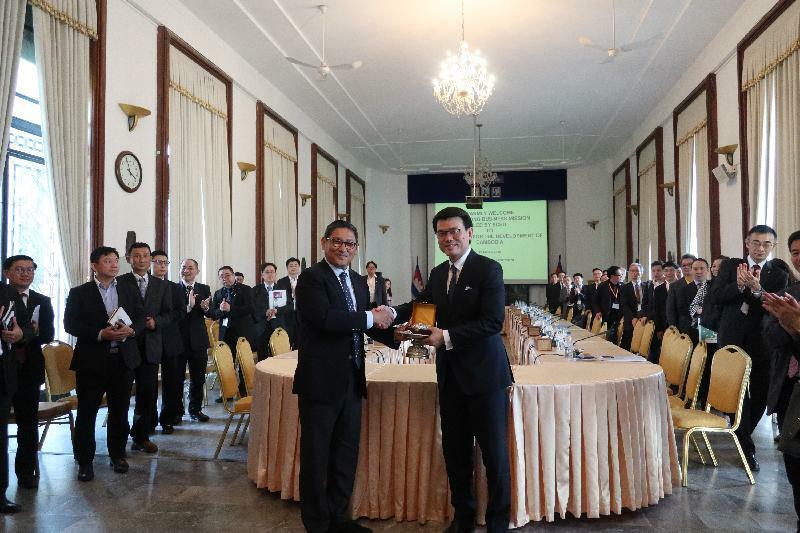 Upon arrival, Mr Yau and the delegates started the visit by meeting with the Cambodia Chamber of Commerce, an institution representing sectors including the commerce, industry and services in Cambodia. They had fruitful exchanges with the chamber representatives on the business co-operation opportunities and local business environment. In the afternoon, the delegation attended a briefing given by the Council for the Development of Cambodia. 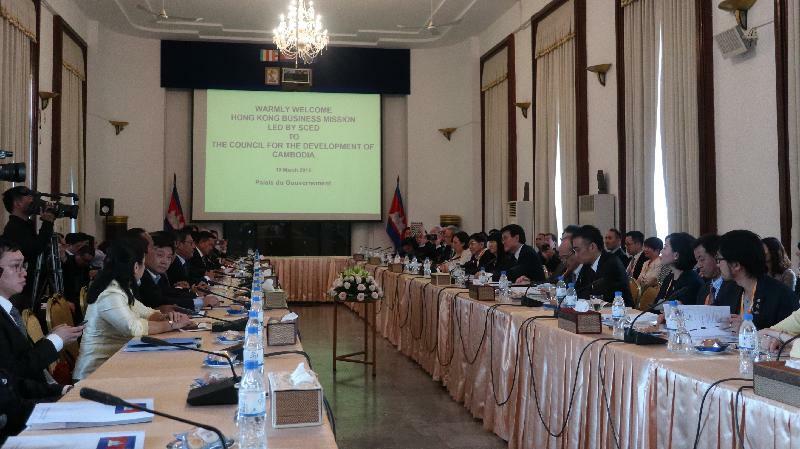 The Council is the highest decision-making level of the Cambodia Government for private and public sector investment, and is chaired by the Prime Minister and composed of senior ministers from related government agencies. The delegates learnt more about the private sector investment policy and the latest investment environment in Cambodia. 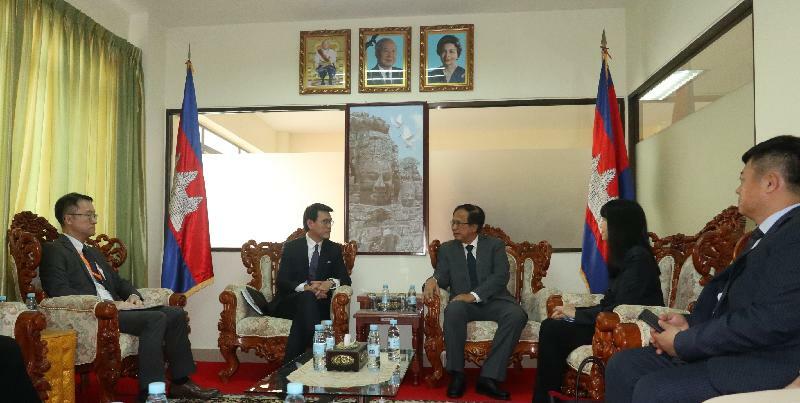 Mr Yau and the delegates also met with the Minister of Commerce of Cambodia, Mr Pan Sorasak, to discuss trade and economic co-operation between Hong Kong and Cambodia. 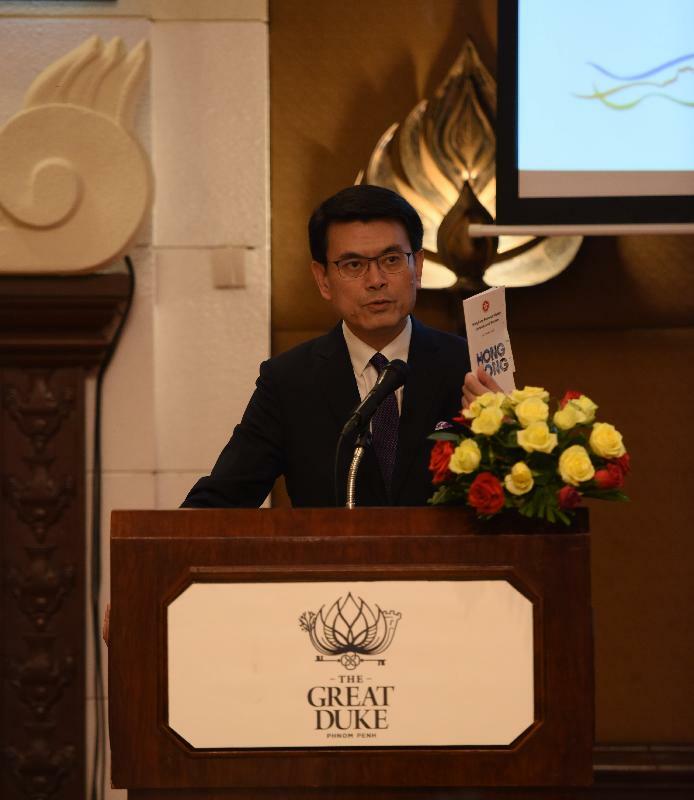 Mr Yau said there is great potential for growth in trade between Hong Kong and Cambodia, noting that bilateral trade in goods amounted to US$1.2 billion and increased by an average of 3.1 per cent per year from 2013 to 2017. Mr Yau promoted Hong Kong’s role as the key link in the Belt and Road Initiative, saying that Hong Kong is capable of contributing to infrastructure investment as well as financing, and of providing the professional and legal services needed to connect the many Belt and Road countries. Later on, Mr Yau will call on the Chinese Ambassador to Cambodia, Mr Xiong Bo. The delegation will have an opportunity to meet with Chinese enterprises active in Phnom Penh to explore projects and opportunities for Hong Kong enterprises in Cambodia and along the Belt and Road. The delegation will continue its visit in Cambodia tomorrow (March 20), including attending a business luncheon seminar co-organised by the Hong Kong Special Administrative Region Government, the Hong Kong Trade Development Council and the Hong Kong Business Association of Cambodia.